Getting dental veneers usually takes a couple of appointments across the span of about two weeks. 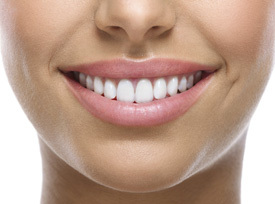 After your teeth have been prepared we’ll start to create your permanent veneers. You’ll wear temporary veneers in the meantime, to limit any sensitivity. Once the porcelain restorations are ready, we’ll bond them permanently to the front of your teeth. Be careful not to use your veneers to open packages or bite into anything hard, like ice. Although they’re strong, the porcelain can still chip if you don’t look out for them. Because veneers represent an investment in your smile, you will want to practice good oral hygiene habits such as brushing and flossing so they can last for a long time. You also should avoid biting your nails or chewing ice as these habits could damage your veneers. It’s okay, however, to eat crunchy foods such as apples or raw carrots. To find out if Veneers are right for you, schedule an appointment with Woonona Dental today!